Talking Points Memo (TPM) reports on a story that exemplifies what I was talking about in my article from earlier today — Drug Testing Welfare Recipients? – When Stereotypes Infiltrate Social Policy. In fact, it takes it to another level. Not only do some people legislate based on cynicism and believing the worst in people, they also assume that there are so many shady people that they were able to elect Barack Obama president. 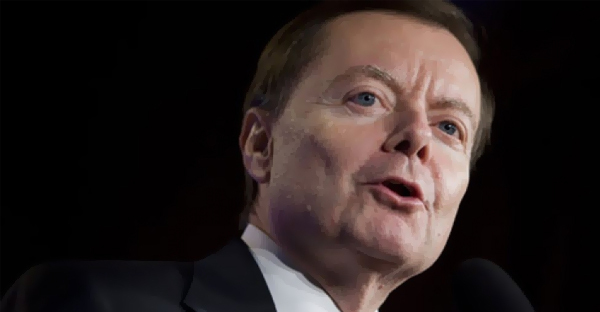 Conservative pundit Gary Bauer — former president of Family Research Council — told TPM that “voter fraud is rampant in urban areas.” Earlier today during a speech at the Values Voter Summit, Bauer said, “There’s a lot of people out now around America who depend on checks from their fellow taxpayers being in the mailbox every day…They will turn out [to vote] in massive numbers.” This is typical of the delusion of a unnervingly large amount of conservatives. They cannot accept that Barack Obama was legitimately elected — by a wide margin I might add — so they have to concoct excuses for why Obama is sitting in the Oval Office. They do not believe Obama is the legitimate president because (a) voter fraud, (b) uninformed voters (another way of saying welfare recipients, black people and Democrats), (c) conservatives are right and everyone else is wrong therefore Obama is illegitimate — Election results be damned. Yes, that is delusion talking. Hey Bauer, which states receive the most federal assistance? Did you happen to notice they largely reside in the South and they tend to be shaded red?